There is only 6 days left to take advantage of a free stamp or mini note kit under $10. 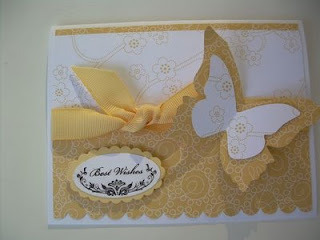 The card above uses the new Scallop Oval punch along with the Oval All stamp set. Purchase those two items and the pretty DSP paper "Walk in the Park" and you will be able to pick one of the items from pg 208 in the catalog for FREE. 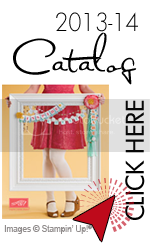 To get the FREE item you just need to purchase 40.00 from the new Occasions mini catalog. There are some great new stamp sets to choose from. One of my favorites is the Forest Friends on page 19. The deer, bunny and owl are precious. The three along with a great tree are only 14.95.